I tend to like my retro music pretty or uptempo - pop, soul, dance, singer/songwriters - but occasionally I really love a great classic rock song. 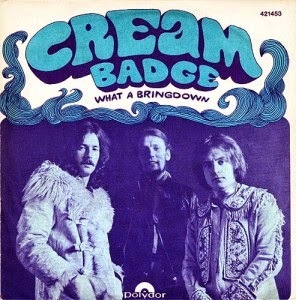 "Badge" by Cream is one of those songs. This song was written in 1969 by Eric Clapton and George Harrison. It has a bit of a Beatles sound that really appeals to me. I heard this over the weekend and it has been stuck in my head ever since ... so I'm sharing it here with you. Do you remember this one? I would love to hear from you in the comments, below. No, I don't remember the song or the group. I got a kick out of the hairstyles, clothes etc.